How do I schedule a reminder for an assignment in the Student app on my iOS device? 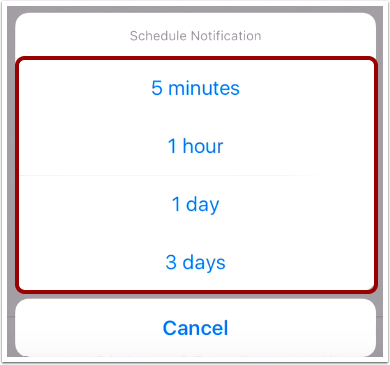 On iOS devices, you can schedule notifications for upcoming assignments. You can schedule reminders 5 minutes, 1 hour, 1 day, or 3 days before the due date. 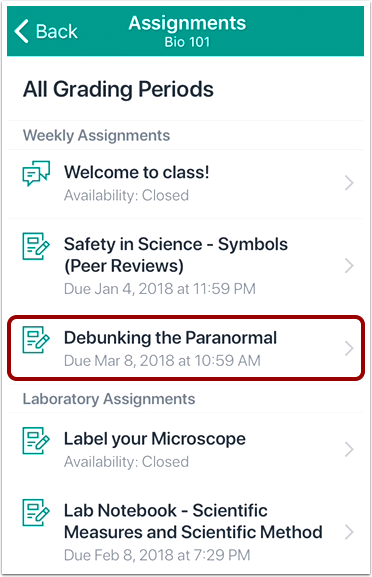 When the reminder time arrives, the app will reopen the assignment to the details page. Reminders cannot be set for past assignments or assignments that do not have a due date. 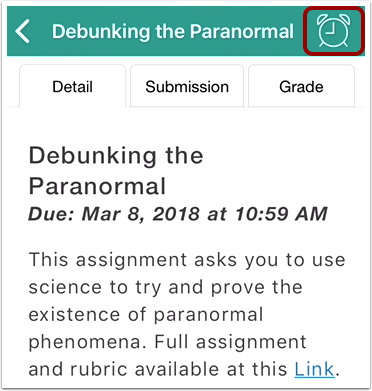 This lesson shows how to open an assignment through a course, but you can also schedule reminders by opening assignments in the To Do list. 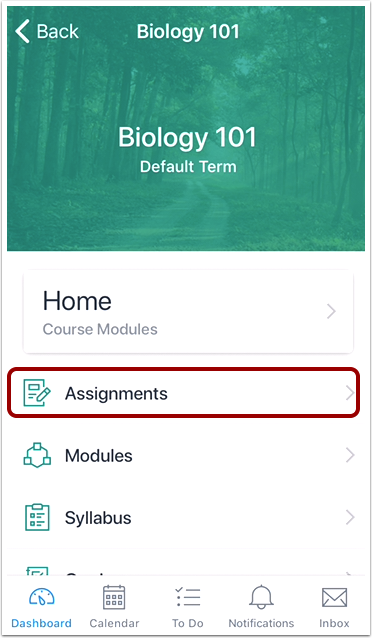 Note: You may have to swipe your screen to view the Assignments link. Tap the name of an upcoming assignment. In the menu bar, tap the Reminder icon. Tap the time period when you'd like to receive the notification as related to the due date. You can choose to be reminded 5 minutes, 1 hour, 1 day, or 3 days before the due date. 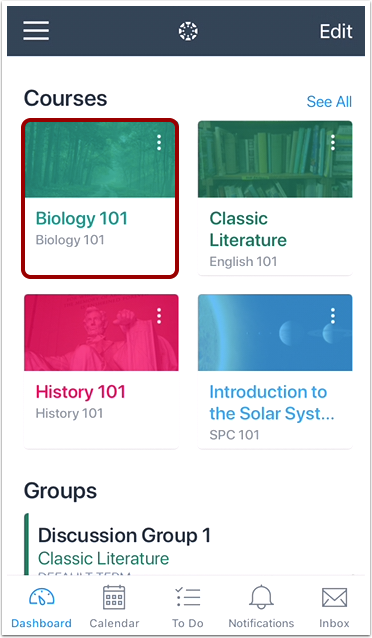 When the reminder time arrives, the Canvas Student app will reopen the assignment. Previous Topic:How do I make a comment about an assignment in the Student app on my iOS device? Next Topic:How do I view Discussions in the Student app on my iOS device? Table of Contents > Course Features > How do I schedule a reminder for an assignment in the Student app on my iOS device?